Concealed 3 button fastening at neck. Contrast ribbed collar. Long sleeves with ribbed contrast cuff. 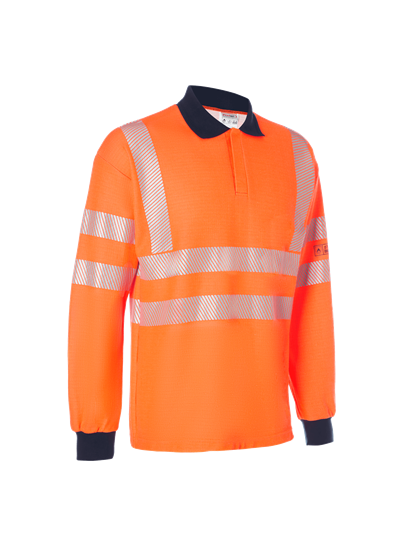 Segmented reflective tape around body, sleeves and over shoulders.